It’s not the most exciting of topics when it comes to wedding planning, but it is one that could potentially save you thousands of pounds. No one really wants to think of the worst case scenario when it comes to their big day but we advise that you don’t bury your head in the sand. What if your venue went out of business or you, as the bride or groom, became so ill that you couldn’t attend your wedding? These are the exact reasons that couples purchase wedding insurance. With the average cost of a British wedding at an all time high of £27,161 (according to INDEPENDENT), that is a lot of money to kiss goodbye to, should things go very wrong. Don’t panic though, all is not lost, as you can plan ahead and get yourselves some wedding insurance to protect your wedding, should you need to. Here is our recommendation: BUY WEDDING INSURANCE It starts from £54, which in the grand scheme of most wedding budgets, is nothing! Using the easy to follow steps, you can work out how much coverage you need, based on your budget and whether you’d like any additional cover. You can take out wedding insurance from when you start planning until the end of your wedding day, ensuring everything is covered. Some things may be covered by your credit card company, if you’re paying by credit card, but it is well worth checking what is and what isn’t so that you are fully covered and have peace of mind. Once you have purchased your wedding insurance, it’s a good idea to print the policy and keep it in your wedding folder, or somewhere handy. Of course, the hope is that it won’t be needed but at least you’ll know where the information is, should you have to claim. 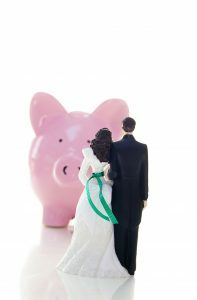 So, in summary, for such a small cost of wedding insurance, is it really worth risking it?